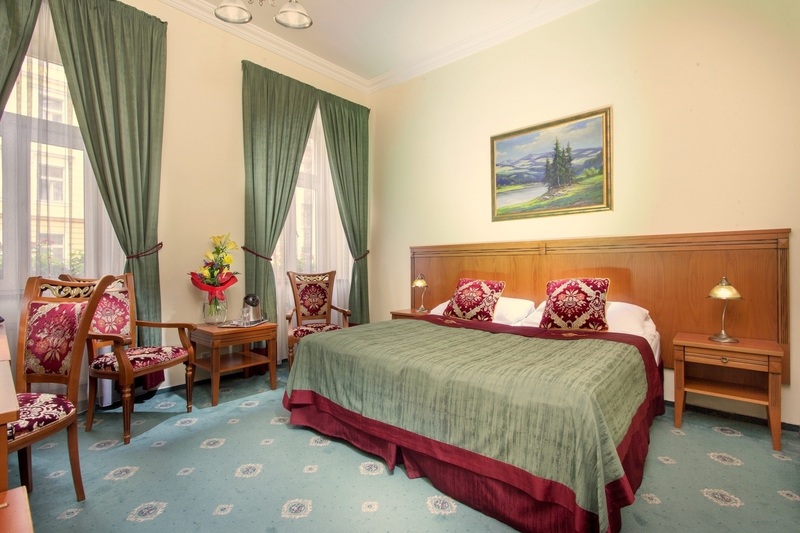 Green Garden Hotel offers superior single, double/twin and triple rooms. These cozy rooms are equipped with quality wooden furniture. Each bathroom comes with unique flower design. All rooms are non-smoking. This spacious Family Suite consists of separate bedroom and living room. It offers 1 king-size bed and 2 sofa beds. There is possibility to add an extra bed for child so total capacity is then 2 adults and 3 children up to 15 years. Size of this room is 58 m². To demanding guests we offer an option to choose one of our luxurious suite. There are available Wedding Suite or Deluxe Suite. 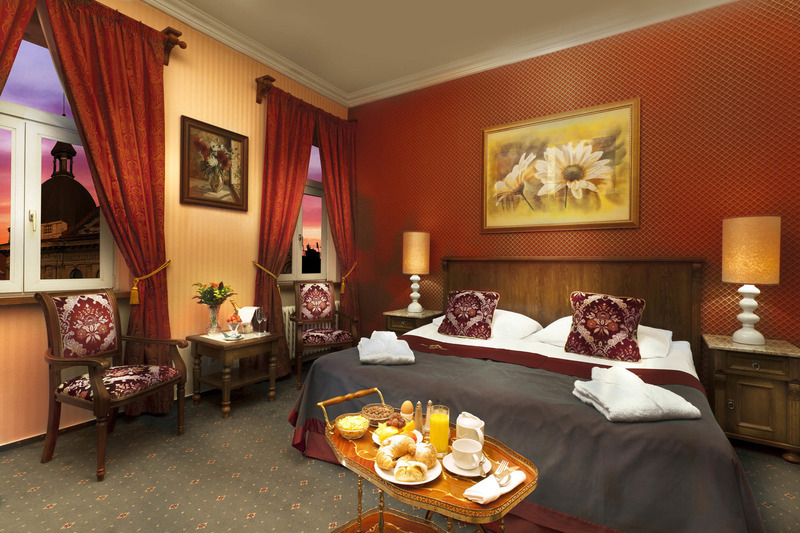 Suites are equipped with antique-style furniture, a separate living room and an elegant bathroom. A bottle of sparkling wine and chocolate pralines are provided in the room as welcome gift upon arrival.